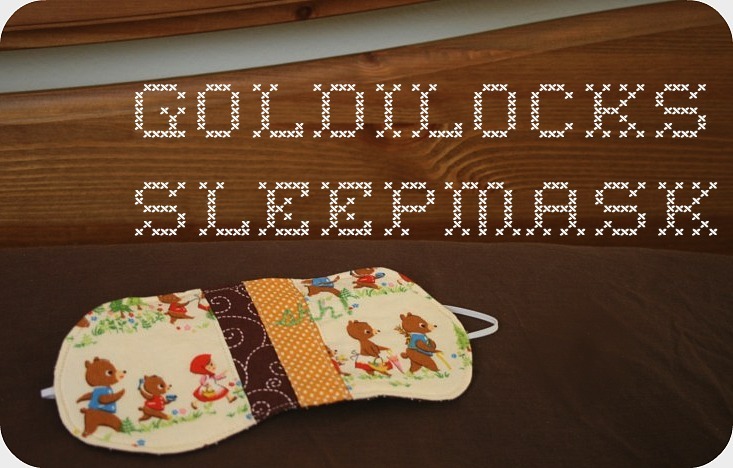 Your very own Goldilocks sleepmask. Well I was doing some poking around and realized that while I shared this post on Wild Olive ages ago I never actually posted it here. So I thought I’d share. 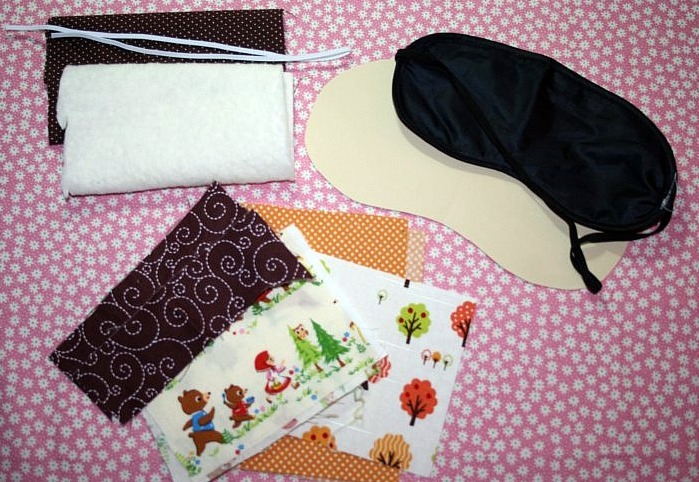 Sometimes we all need a little nap and this sleep mask will help you have a restful slumber. All while looking pretty stinking cute! My husband and I take turns having a ‘sleep in day’ on the weekends. I have to tell you I count down to that day every week. 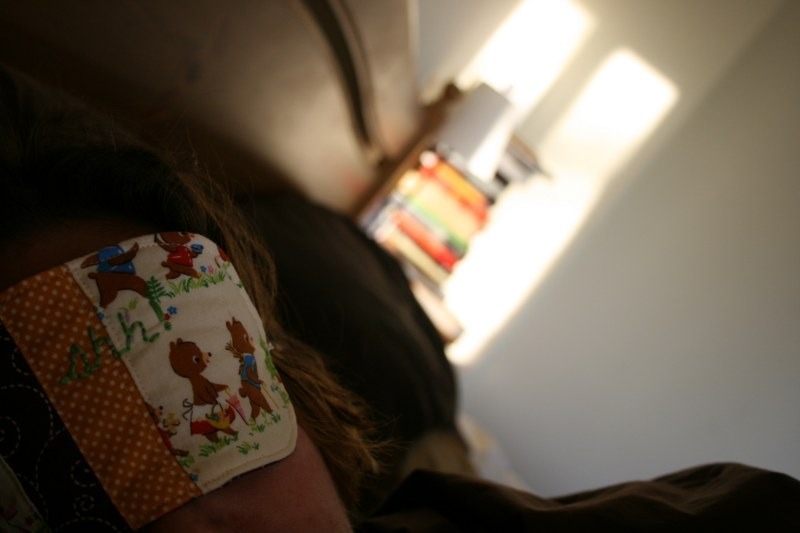 I started to use a sleep mask to maximize my sleeping in experience. It was just a silly freebie one from one of our airplane trips and I’ve already had to repair it a few times so I decided to just make a much lovelier one. 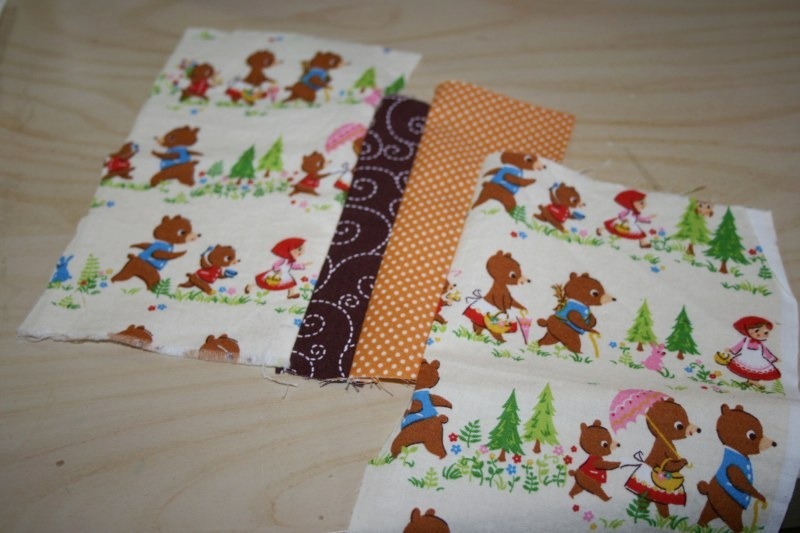 I manged to find some Goldilocks and Three Bears fabric in my stash so I was a bit fussy with the placement of the pattern. 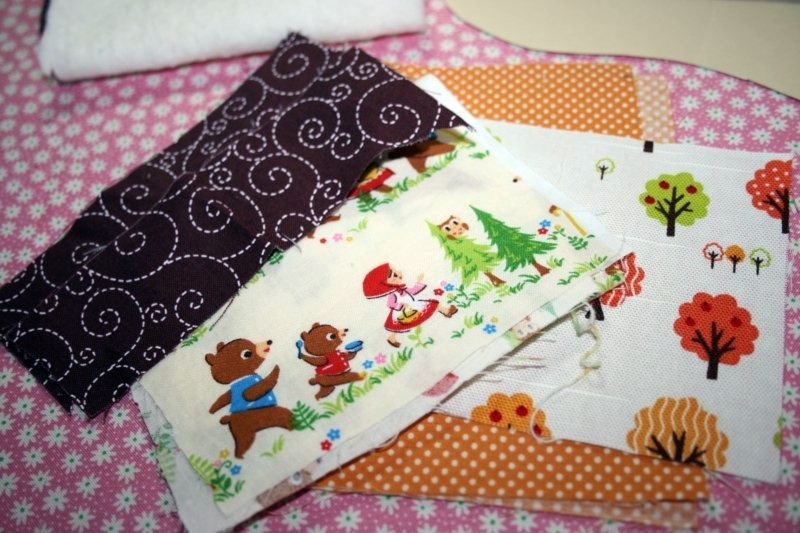 We’re going to use quilting techniques to piece the scraps together. Think about how you’ll want your pieces positioned if you have a particular pattern you want to highlight and place the next print at the edge of the first print with right sides together. 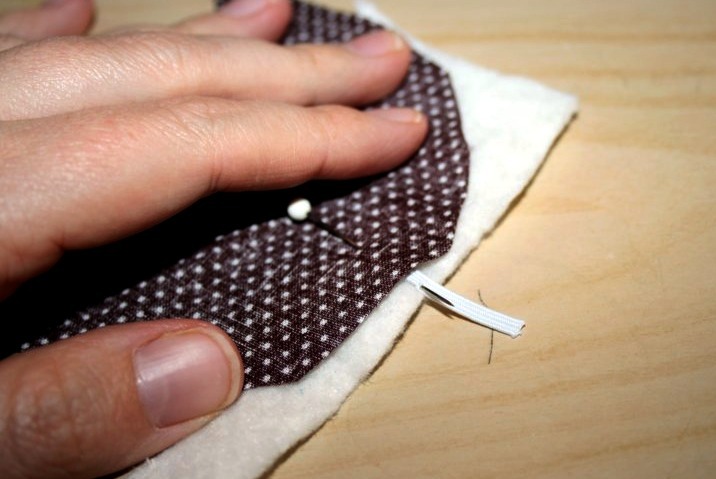 Sew down the edge, seam allowance isn’t really that important just make sure you have a straight stitch. My Goldilocks print was uneven so I lined up the brown swirly print to create a straight edge. 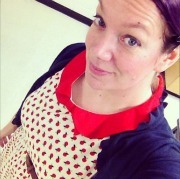 Add the next fabric print just like you did before. Right sides together and sew down in a straight line. 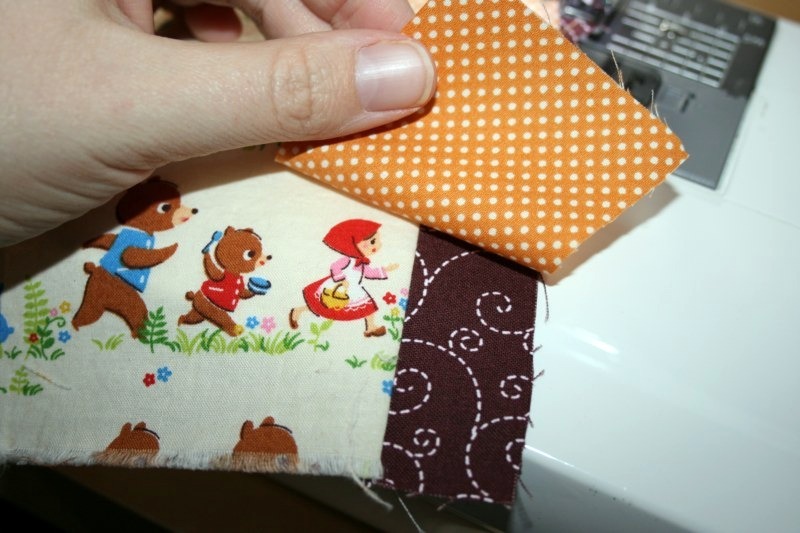 Continue attaching pieces of fabric until you have a piece that measures at least 8 x 5. My last piece is lower because I was lining up the print in a certain way. 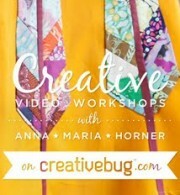 Plus this way I’ll still have some usable scraps left over! 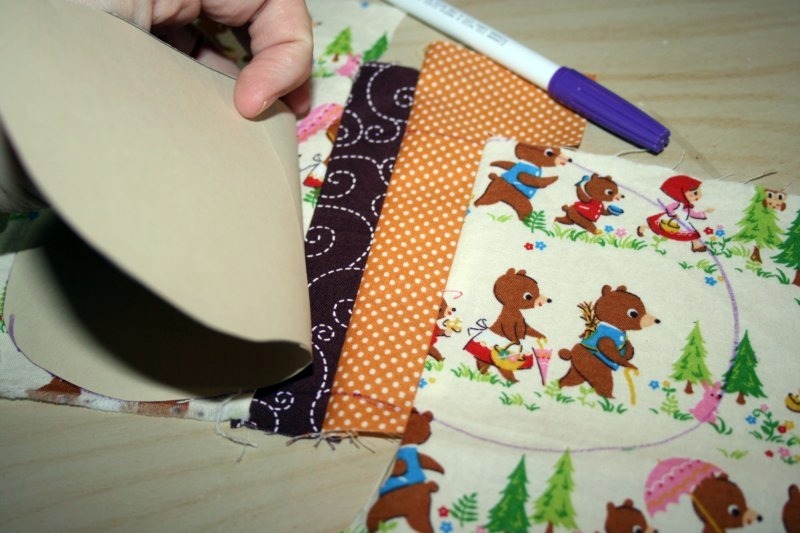 Now take your printed template and trace the mask outline onto your little quilted bits. Cut along the outline. Lay your cutout right side up on top of your batting. It’s not important to trim it down just yet, we’ll do that in a few steps. 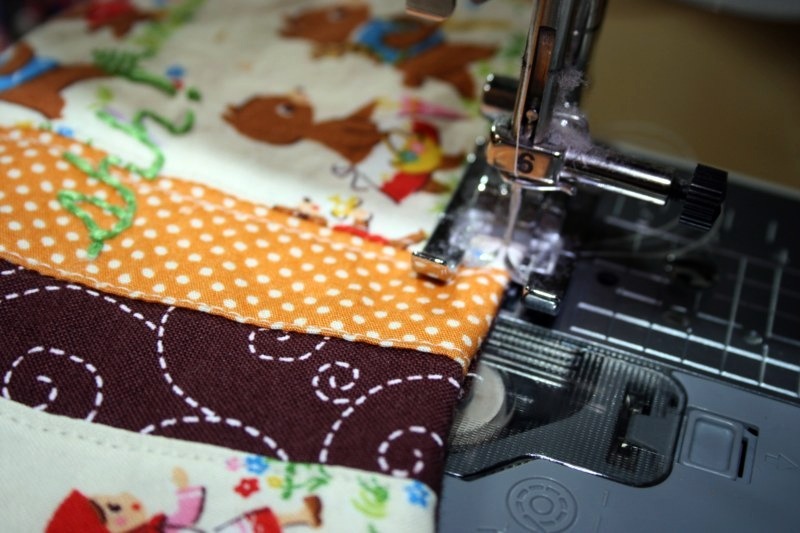 Add some stitches just to the right and left of your seams. 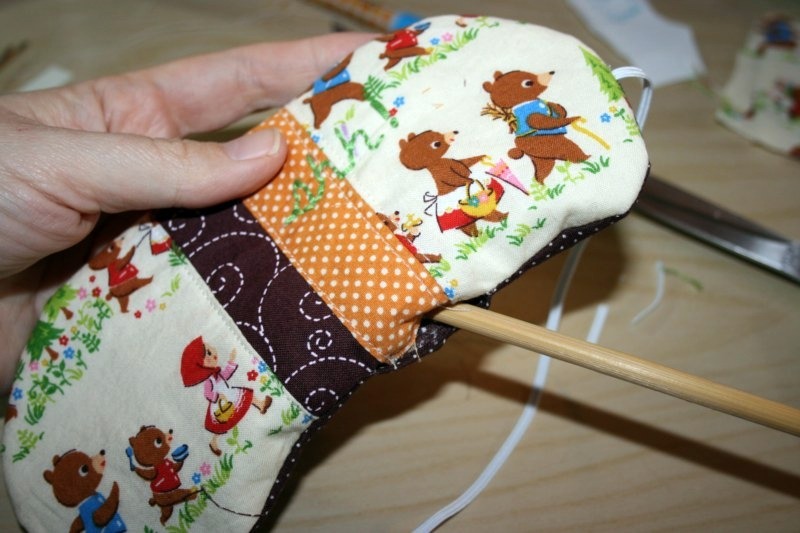 This is a fun little decorative detail and will help hold the inner batting in place. I stuck with my cream coloured thread but you could use matching thread, or something crazy and contrasting. I decided to get even more creative and stitched ‘Shh!’ onto my mask. If you’d like to add any embroidery stitches to your mask do it now. 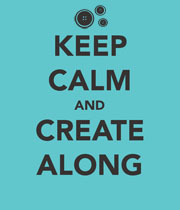 Draw on the design with a water soluble or disappearing fabric marker. Stitch through the 2 layers. 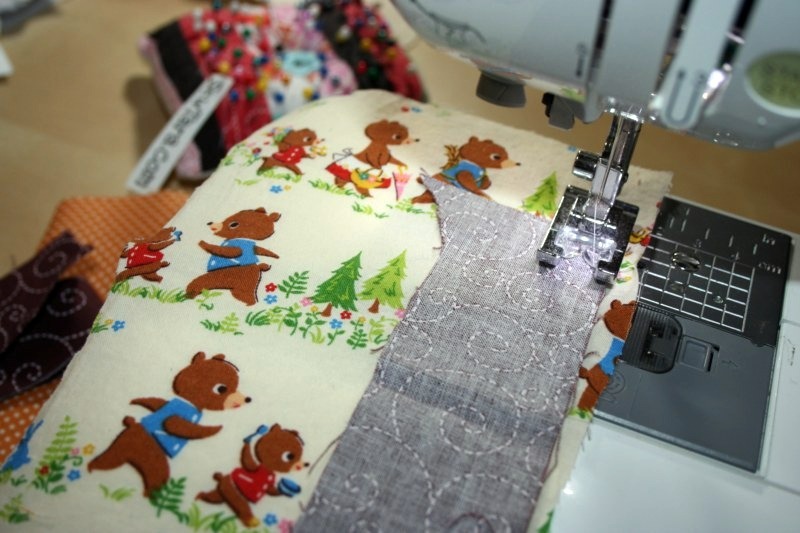 Now trace the template onto your backing fabric. Cut it out. 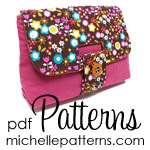 Place your quilted fabric with the batting side on your work surface. Next put the elastic piece down with about 1/2 inch sticking out over the edge of the mask cutouts. Place the backing piece on top right side down. The elastic will be sandwiched between the 2 pieces of fabric. Pin the elastic ends in place. Make sure the pin is going through all the layers. 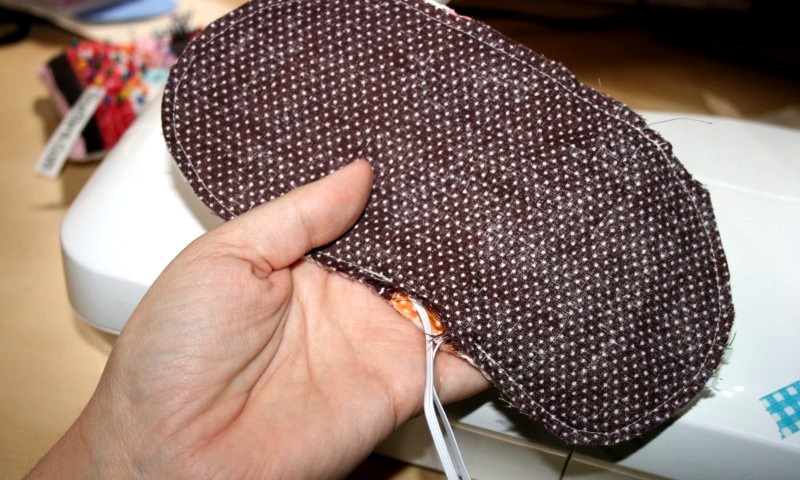 With the wrong side of the backing facing you sew around the entire mask outline with a 1/4 inch seam allowance. Backstitch over the elastic bits for some extra stability. Leave an opening about 1 inch in length for turning. Trim the excess batting away. 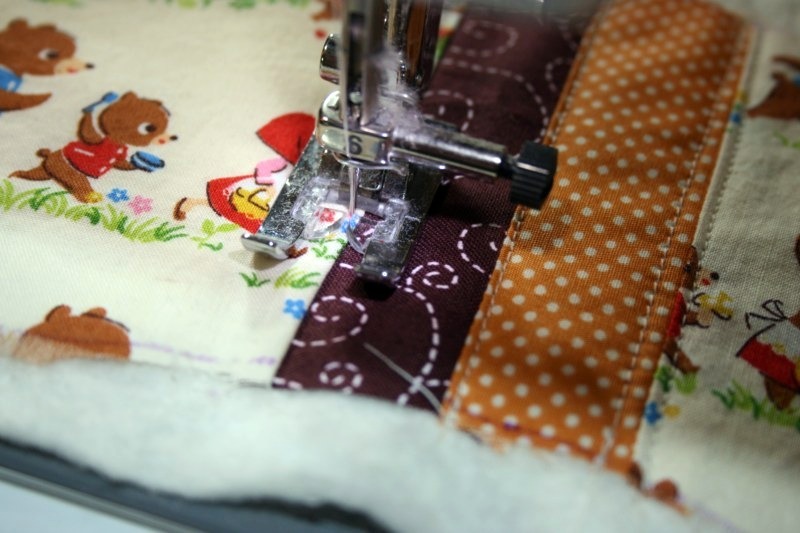 I usually make sure to leave a little bit at the opening just to make sure it will close when topstitching. You should be left with something like this. Make sure the elastic wasn’t caught up in any of the stitching. Turn the mask right side out. Use something pokey to make sure it’s pushed out all along the edges, I use a chopstick. Once it’s all turned out you can give it a quick press to get the edges all nice and flat. 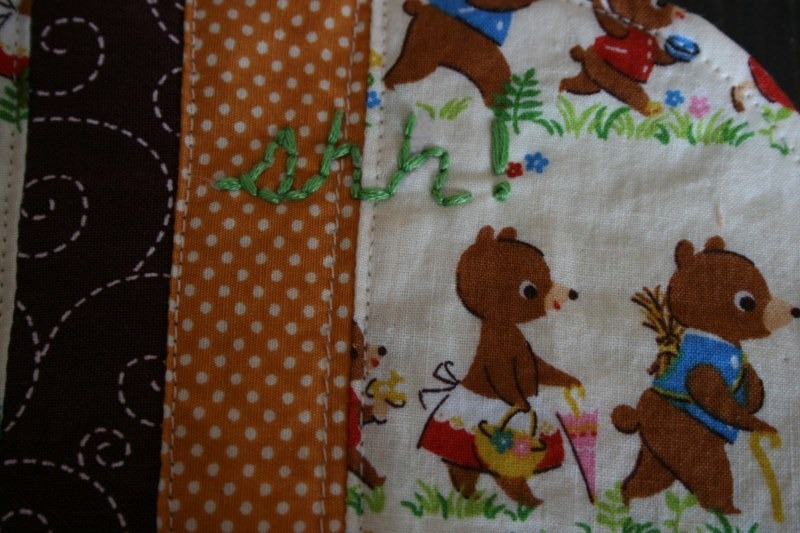 Then topstitch all around the entire mask fairyly close to the edge with an even border. Again, make sure you aren’t catching the elastic while stitching. And you’re done! Enjoy the many extra hours of sleep protected from the sun’s evil “I’m here to wake you up!” rays. It’s really hard to take a picture of yourself pretend sleeping, but that’s authentic bedhead and sleepiness. Sadly, the sleep mask won’t stop your children from jumping on you and waking you up.